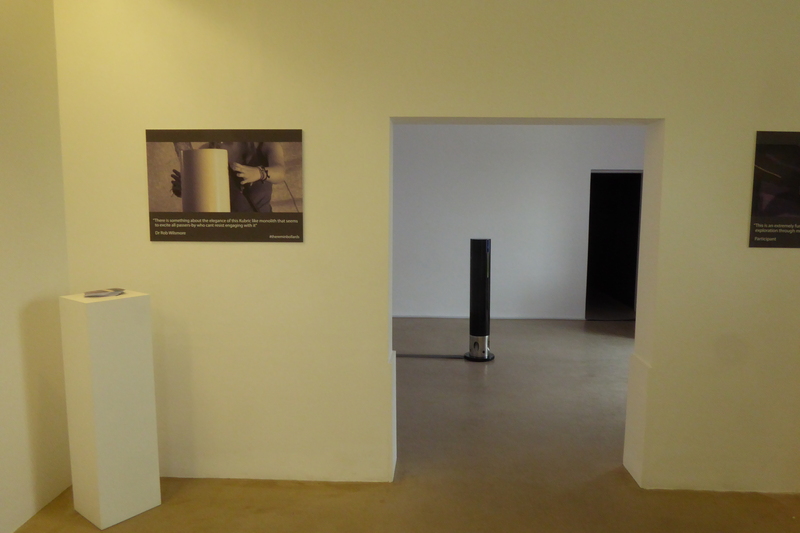 The Yorkshire Sculpture Park is one of my favourite spaces in the world. 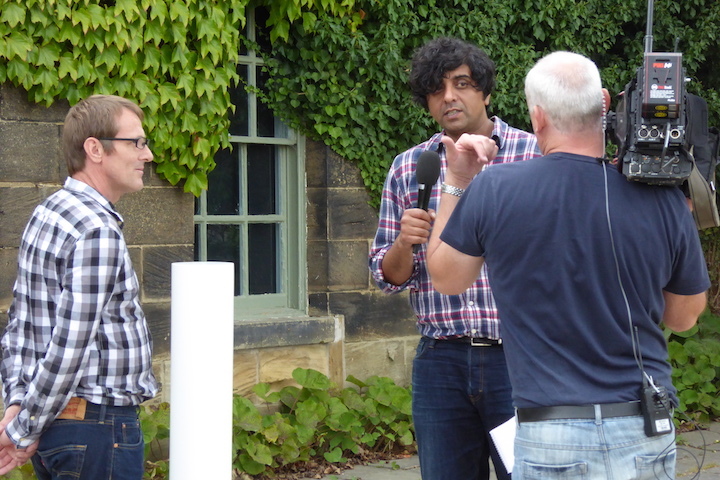 Living in Yorkshire since 1991 i have visited it with my family countless times. 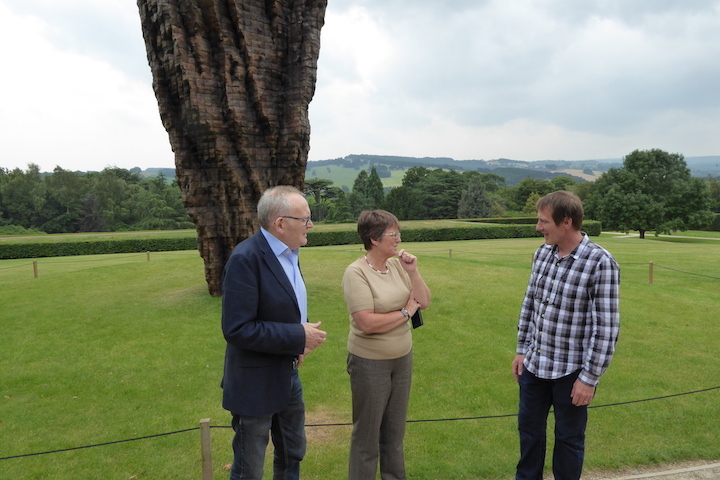 We love finding new sculptures and walking around the vast grounds getting inspiration at every turn. 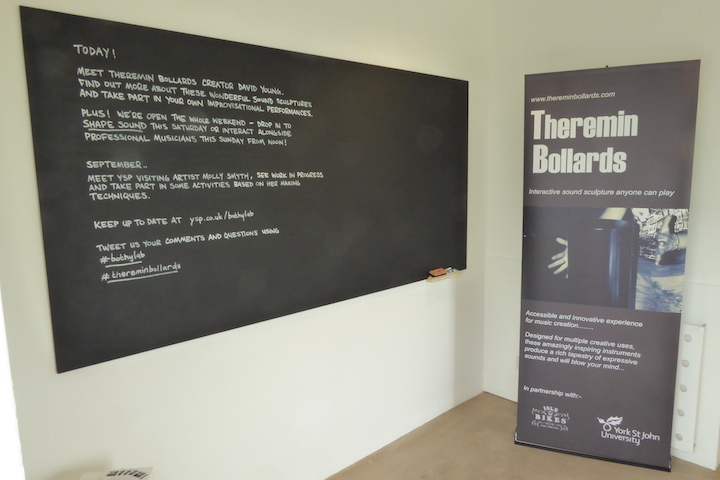 It was a personal ambition to exhibit there and in 2014 that ambition became a reality. I was thrilled that an unknown was invited to exhibit over 3 days. 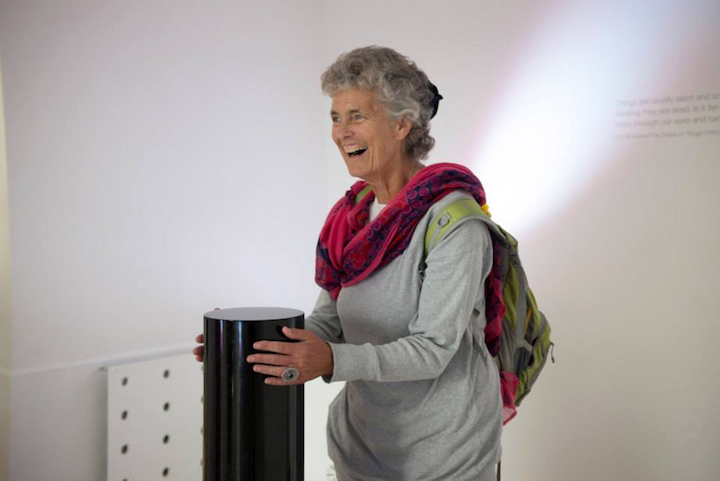 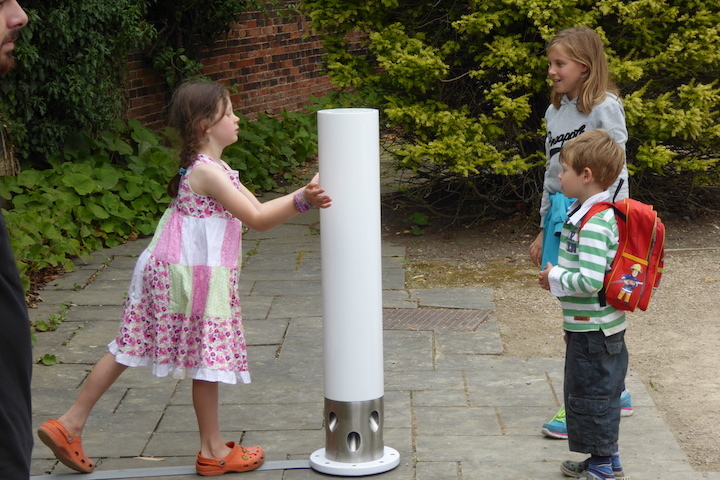 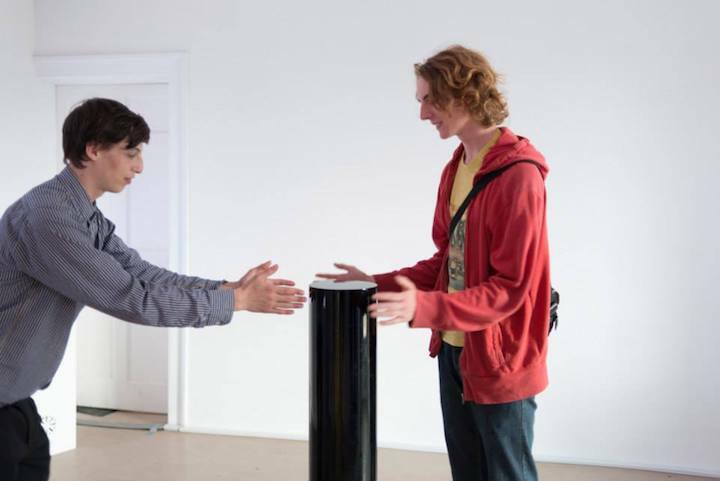 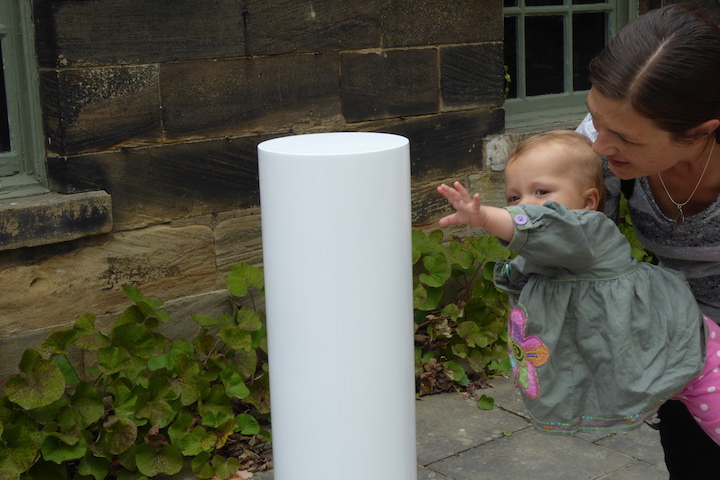 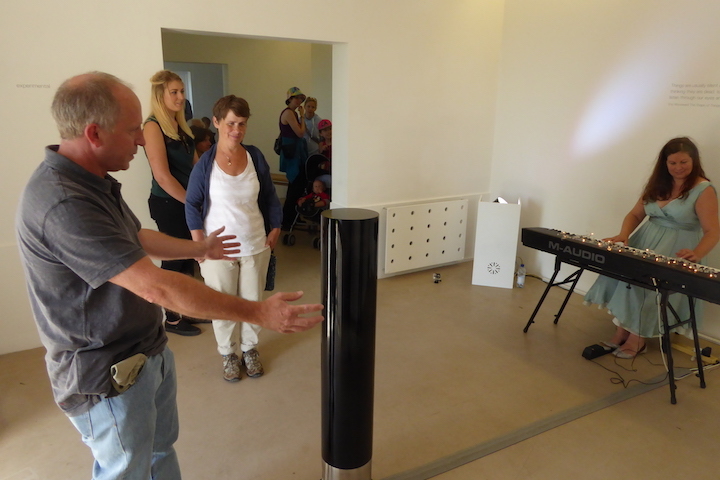 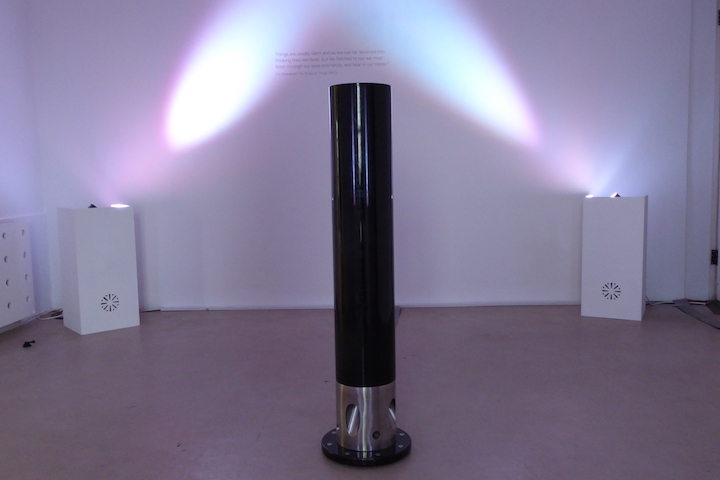 The exhibition allowed me and my team to experiment with different ways to present Theremin Bollards. 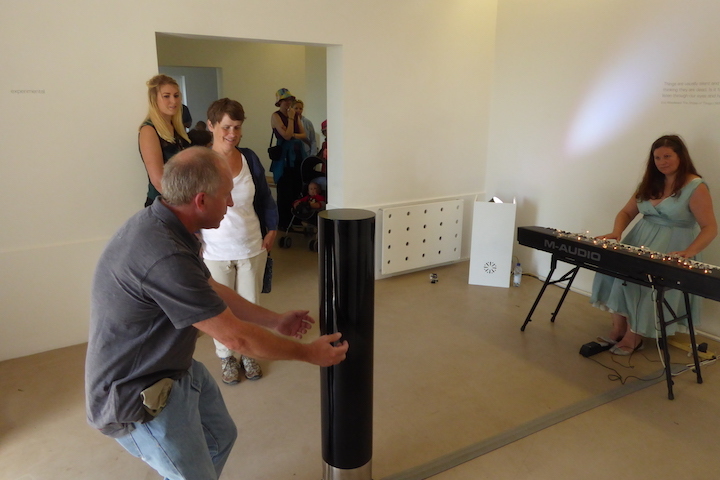 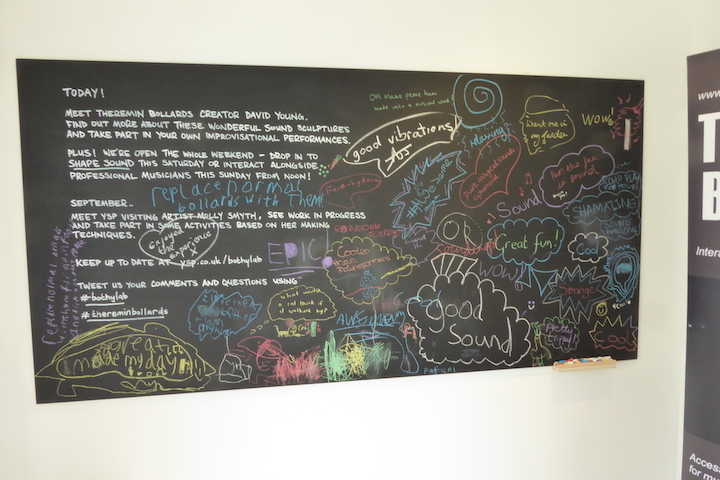 They were installed both inside and outside the Bothy Gallery and on the last day of the exhibition i invited visitors to make music with the backing of live musicians. 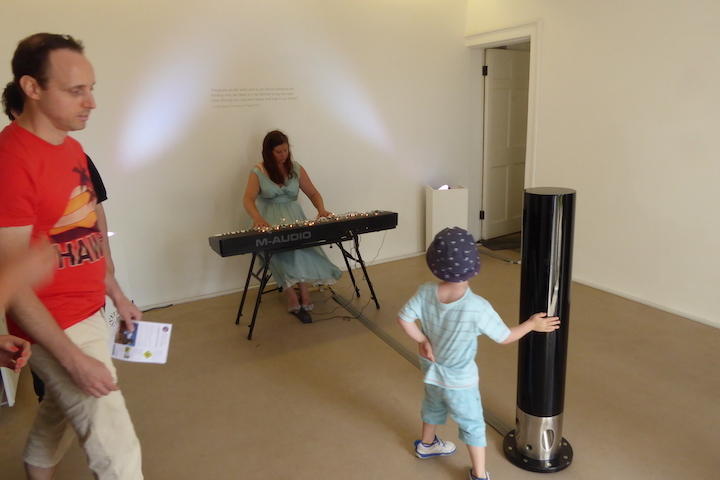 We had a classical piano player, Vanessa Simmons and a Dub Reggae band, Dub Barn Collective, provide the soundscape for 100’s of visitors to perform with live musicians without the need for any practical skill or rehearsal. 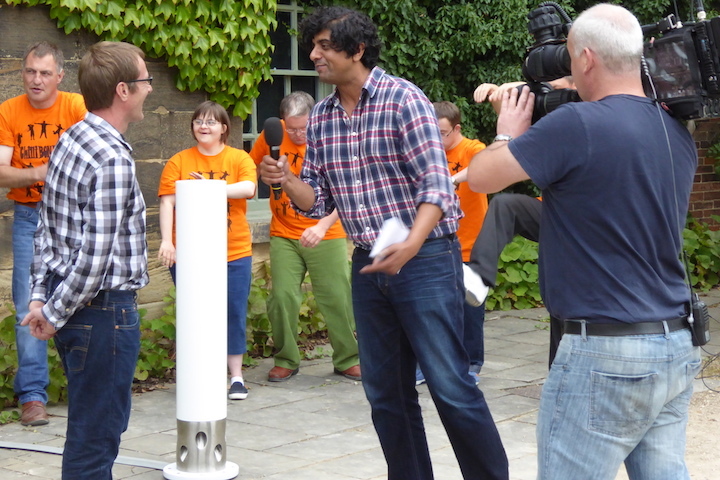 One of the participants to jam with the Dub Reggae band was founder of the Yorkshire Sculpture Park, Peter Murray, CBE. 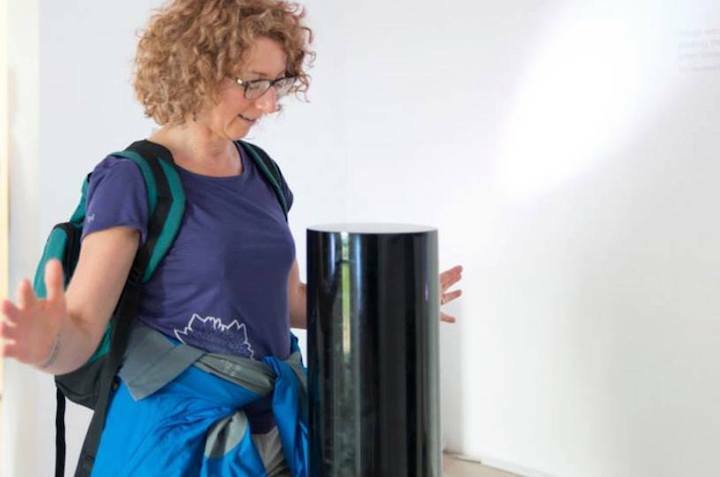 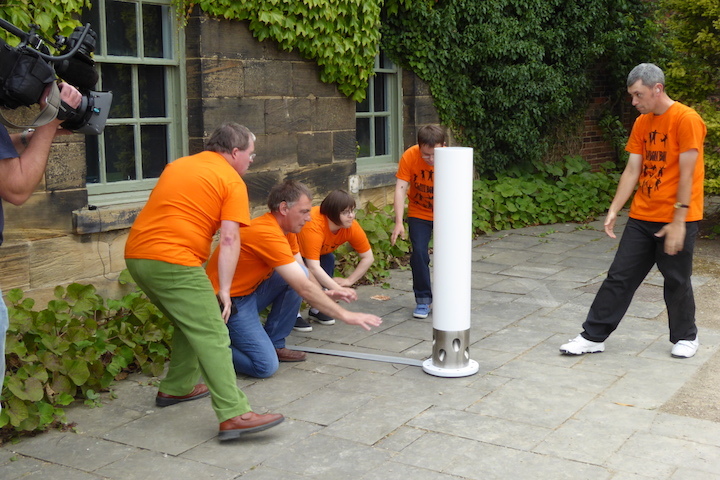 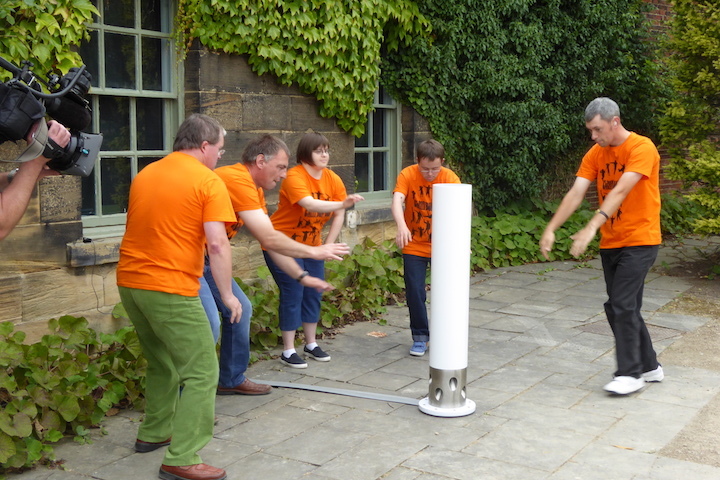 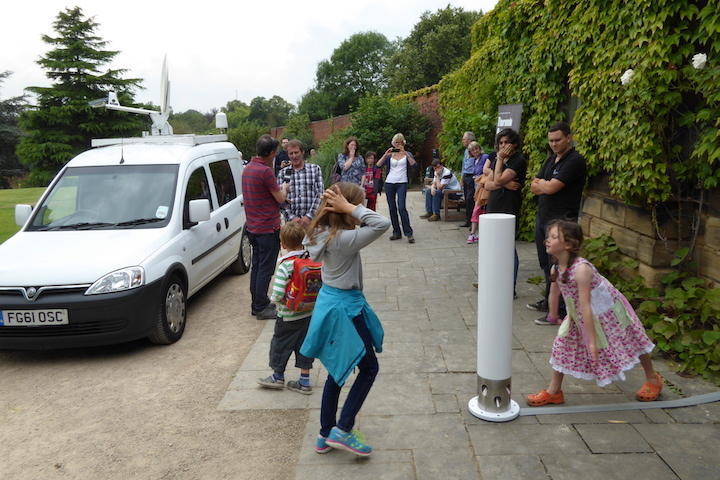 Overall the exhibition at the Yorkshire Sculpture Park was a huge success and drew lots of media attention, including television and radio appearances and confirmed Theremin Bollards as a very popular and enjoyed exhibition.